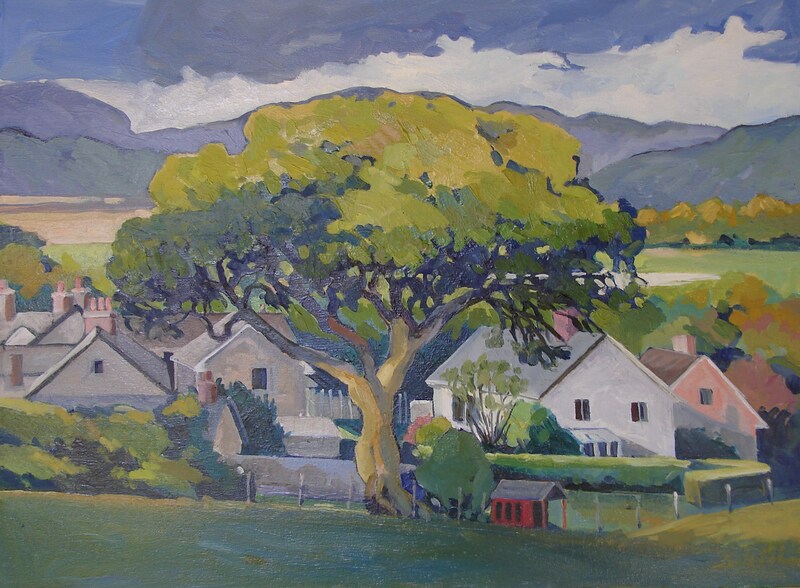 Carla’s paintings for the August show are from a trip she and her husband Bob took to North Wales, United Kingdom. 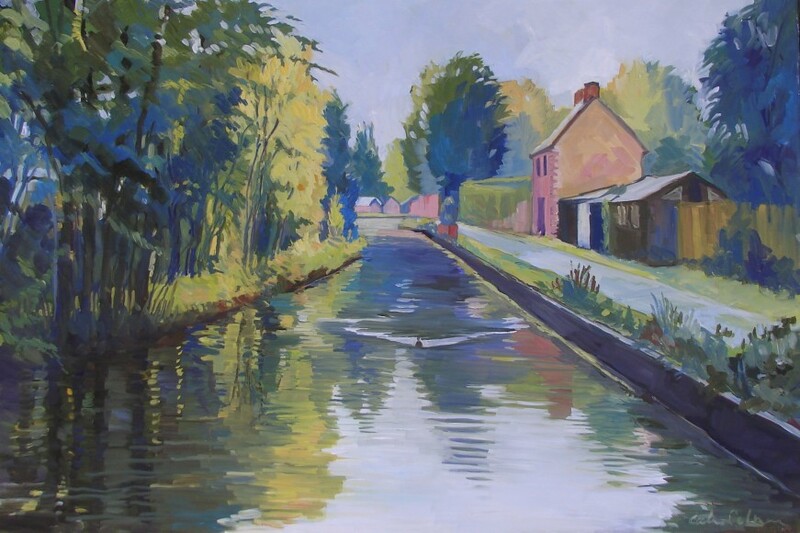 They had 2 goals; to cruise the Llangollen Canal, from the English/Welsh border at Chirk, to it’s end at the town of Llangollen. The second goal was to volunteer for 2 weeks for the historic Ffestiniog Railway at Porthmadog. The skies were usually cloudy, the month was October. The views of the canal are mostly seen from the center as her views were taken from the prow of the boat. 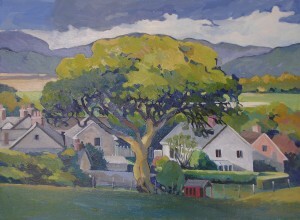 The other landscapes were taken from their travels on foot and by local bus on their days off (track crew) as they explored the Welsh countryside, which included a climb to the abandoned slate mine at Blaneau.